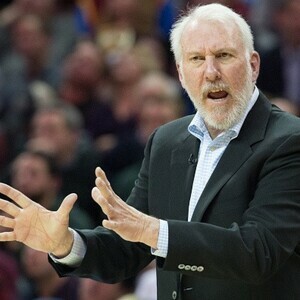 Gregg Popovich net worth and salary: Gregg Popovich is an American professional basketball coach who has a net worth of $30 million dollars. Gregg Popovich was born in East Chicago, Indiana, and graduated from the United States Air Force Academy. He played basketball during his four years at the Academy, and was the leading scorer his senior year. He served in the Air Force for five years, and continued to play basketball. He was subsequently invited to try out for the 1972 U.S. National Team. He began working as the Assistant Coach for the Air Force Academy team in 1973, and then went on to coach Pomona-Pitzer from 1979-1987. He also completed a Master's in Physical Education at Brown University, and was mentored by Kansas University coach, Larry Brown. 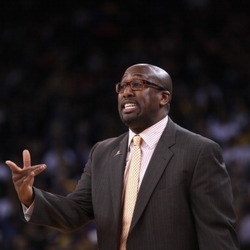 In 1988, he went work as an Assistant Coach under Larry Brown with the San Antonio Spurs. He served as an Assistant until 1992, became General Manager in 1994, and then became Head Coach in 1996. 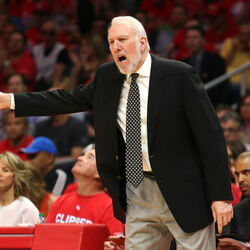 He currently has the longest tenure with any one team of any coach in the NBA, and has won five NBA Championships as Head Coach of the Spurs. 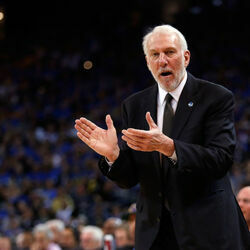 Gregg Popovich currently earns a salary of $8 million per year for being the head coach of the San Antonio Spurs. That's enough to make him one of the top 5 highest paid coaches in professional sports. Gregg Popovich Had To Convince A Player To Leave The Spurs For A $21 Million Deal!